We recently purchased the former US Navy / US Coastguard vessel the Modoc, and this remarkable 45m (150ft) vessel is set to become our new base of operations. 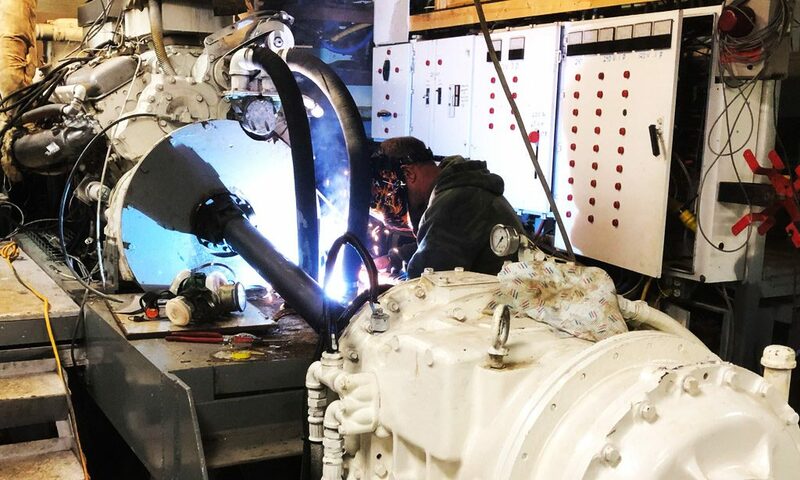 Currently she’s undergoing a refit in Bremerton (near Seattle, WA, USA), then in a few months she’ll be taken to Mexico where we’ll complete the refit. After that she’ll commence her new life in assisting countries with marine conservation and fisheries management campaigns, as well as training local units. If you’re interested in helping us during the refit, or crewing on her in then future, then please email us. The vessel needs a number of upgrades. The upper deck is being converted into a 10m x 10m helipad to accommodate the Schiebel S-100 UAS. This also requires moving the crane to the lower deck. The barge is being cut down to 9m in length and mounted on the lower deck. We’re installing longline and seine winches to assist in retrieving illegal or confiscated fishing gear. The staterooms currently look like a cross between the love boat and Miami Vice – These are being upgraded and given as new look. The Salon in being converted to a training / briefing room. Much of the vessel is being re-wired and re-plumbed. The bridge is getting kitted out with the latest in Raymarine and FLIR electronics. Frames to support the Willard RIB and zodiac are being installed. That is just the beginning. All up we have a mountain of work to do to get this amazing boat ready. So don’t be afraid to send us an email and come lend a hand! Below are a couple shots from the refit. 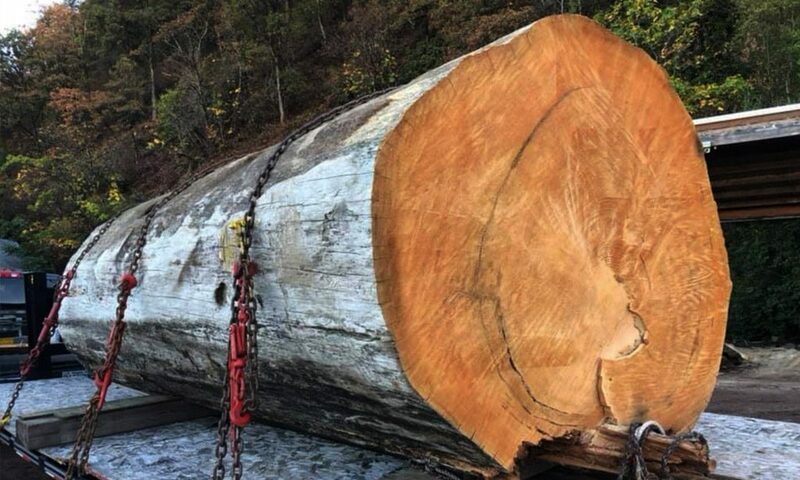 The log was a 317 year old “Douglas Fir”, harvested in the 1920s, and used on a houseboat near Portland (Oregon, USA). The log eventually lost buoyancy and was abandoned in the Willamette River. Friends of ours recovered the log and donated her to the Modoc. So over the coming year, much of the new things you see in the boat will feature wood from this extraordinary log. The Motor Vessel MODOC was built for the United States Navy in 1944 at Levingston Shipyard in Orange, Texas. Her history from there has been quite remarkable, and she has served all manner of missions throughout the Pacific. 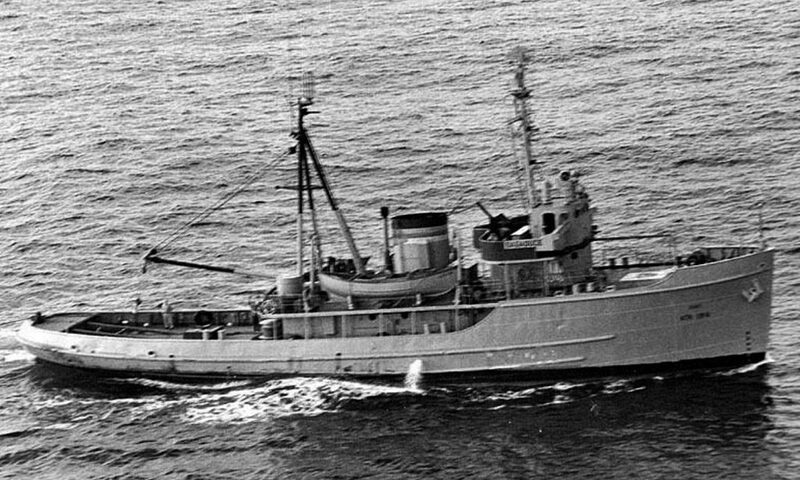 Modoc was initially classed as a “Auxiliary Ocean Tug, and given the official ensign USS ATA-194. She arrived at Buckner Bay, Okinawa, on 14 October 1945, just before Typhoon Louise struck the anchorage on the 15 October 1945 and caused severe damage among the assembled ships. As a consequence, she spent the next several months aiding stricken warships and support craft damaged in that storm. These salvage operations included retracting two Landing Craft Infantry (LCI) from the beach and an Auxiliary Mine Sweeper (YMS) from a reef. Assigned to the Philippine Sea Frontier, the tug remained in the Far East into the following year of 1946. In the spring of 1946, she supported preparations for Operation Crossroads, a two-detonation atmospheric nuclear test held in summer, 1946 at Bikini Atoll in the Marshall Islands. She returned to the US west coast in late May 1946 and moored at Seattle, Washington, on 15 June 1946. Reassigned to the 17th Naval District, ATA-194 sailed for duty in Alaskan waters where she was based for the next 6 years. She was named “Bagaduce” on 15 July 1948 (Crew in fact gave her the nickname “douchebag”). Upon arrival in Seattle on 2 July 1953, she was transferred to the 13th Naval District and ordered to prepare for assignment to the Military Sea Transportation Service (MSTS). “Bagaduce” was decommissioned on 17 July 1953 and transferred to MSTS on 31 August 1953. Assigned to the northern Pacific, she returned to the Kodiak area for another five years of towing duty. The tug was transferred to the Maritime Administration, for lay-up in its National Defense Reserve Fleet (NDRF) at Olympia, Washington, on 25 August 1958. Her name was struck from the Naval Vessel Register that same day and she was subsequently transferred to the US Coast Guard. The tug was transferred to the US Coast Guard and was commissioned under the command of LT Clarence J. 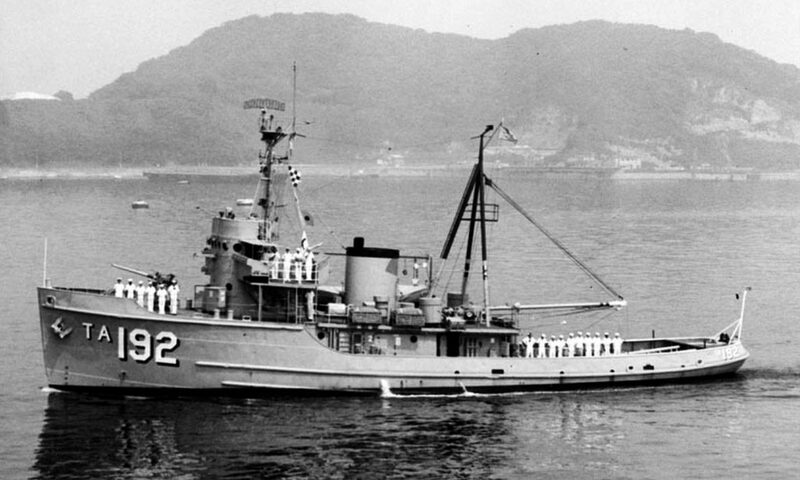 Pare, Jr., as the Auxiliary Tug USCGC Modoc (WATA-194) on 20 April 1959, named in honor of the Modoc Indians. She then reported to her home port of Coos Bay, Oregon, where she replaced the aging 125-foot cutter USCGC Bonham (WSC-129). Bonham’s crew had cross-decked to Modoc and a rumor from the time was that her commissioning had been ordered so quickly that there had not been sufficient time to paint over her entire Navy gray hull and only the shore-side of Modoc was painted white. 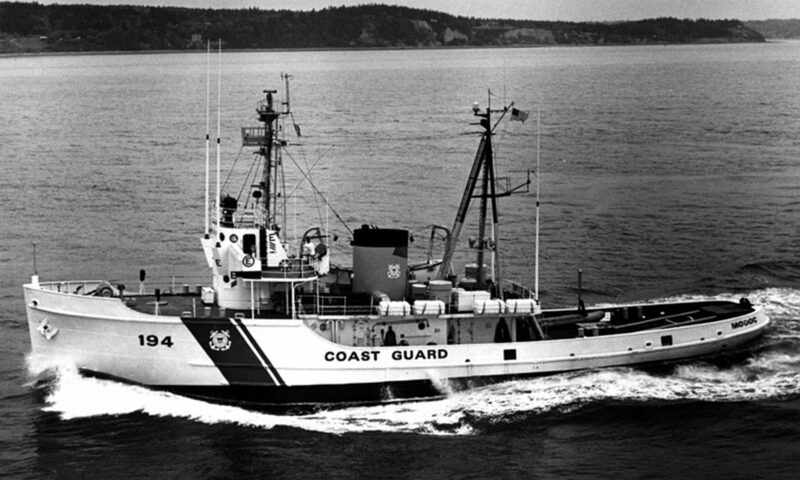 From 1959 to 1969 she was stationed at Coos Bay, Oregon where she was used for coastal and off-shore search and rescue, oceanography, and law enforcement duties, primarily fisheries enforcement. Her normal area of operations extended from the California–Oregon border to Canada and she was also occasionally called upon to patrol the Gulf of Alaska. When not underway, Modoc was on continual alert and was capable of getting underway within two hours to proceed to a vessel in distress. Her boom and heavy towing gear was removed in August 1963. Also during that month her crew assisted in a special guard detail at Tongue Point Coast Guard Base, Oregon, during a visit by President John F. Kennedy at the dedication of the first Job Corps center on the west coast. In January 1965 she assisted the Canadian tug La Force, for which the owners of La Force, the Vancouver Tug Boat Company, presented the cutter with a silver tea service. On 20 September 1967 she escorted the disabled Danish M/V Marieskou following a collision with the Chitose Maru four miles north of Cape Flattery. Modoc was reclassified as a Medium Endurance Cutter, WMEC-194, in 1968. She and her sister Comanche (WMEC-202) were the smallest cutters designated as WMEC. On 17 March 1968 she assisted USS Chowanoc (ATF-100) recover her tow of DE-373 25 miles west of Coos Bay. During 28 February 1968 to 1 March 1968 Modoc, USCGC Ivy (WLB-329), MV Kure Maru and MV Transoneida assisted following collision between the Japanese M/V Suwaharu and the Liberian M/V Mandoil II off Oregon. 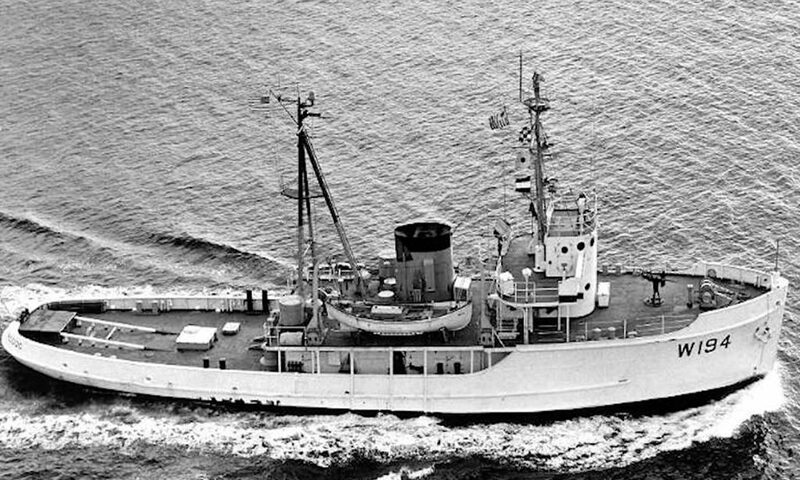 While Ivy was waiting out a storm at anchor in Willapa Bay, Washington; Ivy was called to assist the Japanese M/V Suwaharu Maru carrying a cargo of logs and the Liberian M/V Mandoil II carrying a cargo of naptha which had collided 340 miles from the Columbia River Bar off the Oregon coast. Due to heavy seas Ivy was underway to the scene for nearly 24 hours. In heavy seas, darkness and a snow storm Ivy rescued 68 crewmen from the Japanese vessel, which had jettisoned logs in an effort to stay afloat. Floating logs destroyed one of Ivy’s lifeboats, however no men were lost. The Liberian tanker of naphtha exploded and burned; the entire crew perished. Ivy was relieved by Modoc and transported the Japanese crew to Astoria, Oregon. In August 1975 Modoc safely towed the disabled East German stern-trawling factory-ship Rudolph Leonhard to Coos Bay. In November of that year, during a severe gale, she attempted to locate the hulk of the Korean fishing vessel Kwang Myong No. 96 that had been abandoned by her crew after a fire. Modoc was unable to locate the hulk and turned back after heavy seas caused 45-degree rolls that led to injuries among some of the crew and caused structural damage. Modoc transferred back to Coos Bay in 1977 where she remained for the remainder of her Coast Guard career. In August 1978 she towed the disabled 48-foot Canadian sailboat Naganek to Astoria, Oregon after her operator reported that his engine had failed and that his wife had been killed attempting to enter the engine room. The Coast Guard later ruled her death to be an accident. Modoc departed on 28 October 1978 to undergo a renovation and refurbishment period at the Lake Union drydocks near Seattle. While returning to her home port on 18 December 1978, Modoc narrowly avoided a collision with the loaded 810-foot tanker Arco Sag River at the mouth of the Strait of Juan de Fuca. After 18 years of U.S. Navy service and 20 years of U.S. Coast Guard service, Modoc was decommissioned on 31 May 1979 at Coast Guard Base Seattle. Modoc was placed on “Inactive, Out of Commission, In Reserve” status. Her final commanding officer was LCDR C. G. Boyer, USCG. Her crew cross-decked to her replacement, the 180-foot tender Citrus (WLB-300). Modoc was later sold. 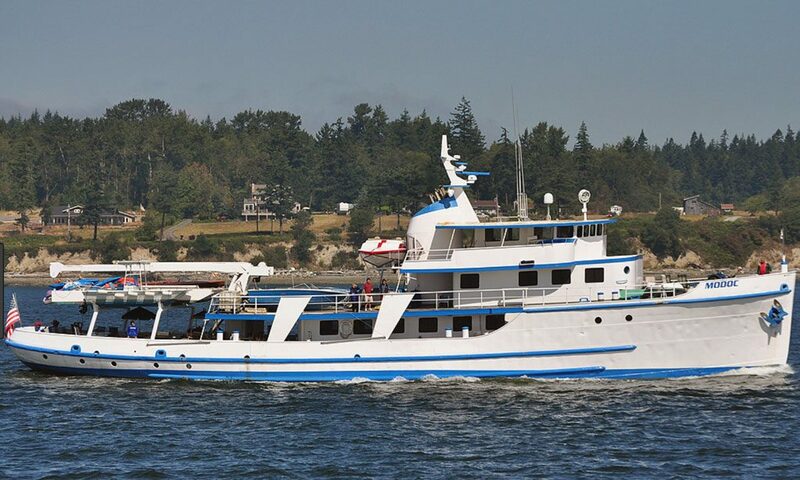 In 1990, Washington Boatbuilder Peter Benneson purchased the Modoc, renaming her “MV Modoc Pearl”. Through a substantial refit lasting the better part of a decade, the vessel is completely transformed into what at the time, was the latest in luxury accommodation – A Master Stateroom complete with hot tub, 4 other luxury staterooms with en-suites, a Hot Tub on the back deck, and an array of jetskis, skiffs, kayaks, and other toys. 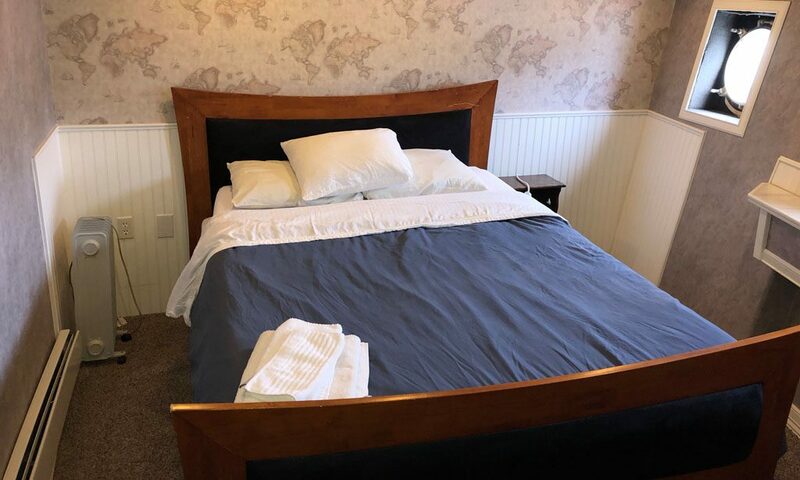 In 2004 through until 2016, Benneson ran tourist voyages in Alaska over the summer, and a luxury Bed and Breakfast in Gig Harbor, WA in the winter. Rumors surfaced of the vessel being chartered yearly by a group of pilots that would fly prostitutes, cocaine and alcohol up to Alaska and party on the vessel, although these rumors were denied by Benneson. 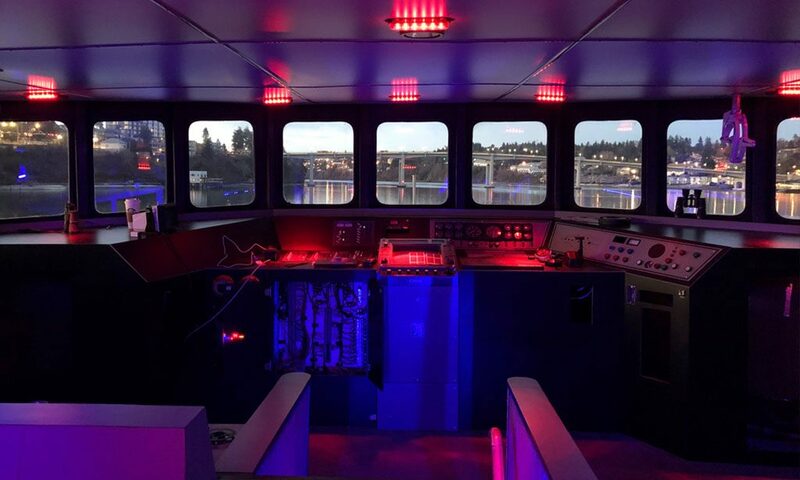 In 2016 the vessel was purchased by a couple of Washington boat Captains who used her for parties and accommodation in Bremerton Marina.